Ciao, Kotori friends! I am Joyce from A Perfect Beginning. I am honored to be guest posting on Tonya’s blog today. 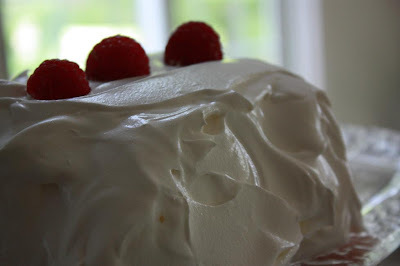 One of my many passions in life is baking and with today being Foodie Friday, I thought I would share this key lime pie ice cream cake roll. The easy thing about this recipe is you can add as much or little ingredients as you like for your taste buds. 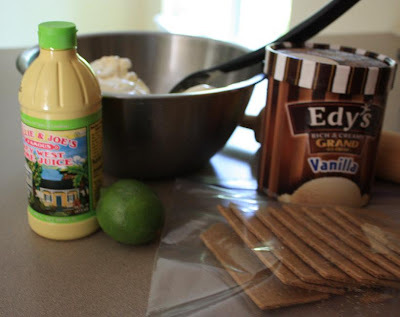 I have made this recipe using only the key lime ice cream (or making homemade ice cream adding the ingredients) served in small individual pedestal dishes, with a dollop of cream, a few fine curls of lime peels and a simple cookie. If you enjoy tardiness and ice cream, this recipe will be perfect for a summer gathering. A couple years ago I was asked to make this cake roll for a baby shower. This was easy because I only needed 8 rolls to make and it was during the cooler season. Attending the shower was a bride-to-be who wanted this as her wedding cake. I still break out in a sweat every time I think of this day! It was in the middle of August and if you live or have ever been in the Chicagoland area in August not only is the temperature HOT, but the HUMIDITY can be unbearable. I had to make 20 large rolls and only had one freezer at the time. Thank goodness the restaurant is across the lake in town. Prep: 20 min., Bake: 20 min., Cool: 10 min., Chill: 30 min. Freeze: 9 hrs. Line 2 (15- x 10-inch) or 1 large jelly-roll pans with parchment or wax paper. Prepare angel food cake mix batter according to package directions. Pour evenly into prepared pans. Process 1 (12-oz.) package frozen raspberries, thawed, in a blender until smooth, stopping to scrape down sides. Pour through a fine wire-mesh strainer into a bowl, pressing mixture with the back of a spoon. Discard seeds. Stir in 3 Tbsp. powdered sugar until blended. Sauce may be stored in an airtight container in the refrigerator up to 2 weeks.